Although popular to eat, blueberries have very demanding needs. The greatest of these demands is an acidic soil, as blueberries need soils with a pH range of 4.8 to 5.2. Many soils in northern Illinois are quite alkaline (high pH). 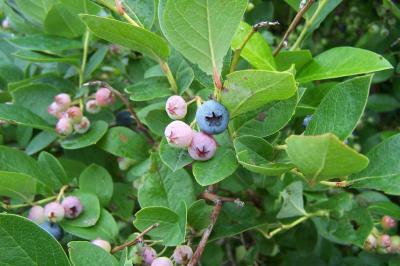 In addition, blueberries need well-drained soils, mulching, and irrigation. It takes considerable effort to grow blueberries in our area. Plant at same depth as in container or in nursery. 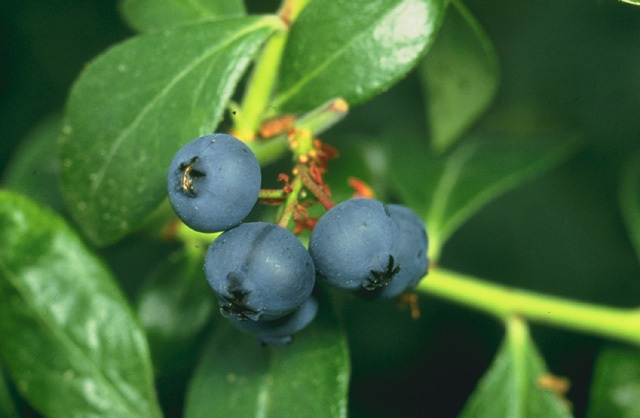 Mature blueberry bushes need to be pruned every year, and fertilized with Ammonium sulfate. One method to try blueberries in the backyard is to plant individual blueberries in tubs buried in the soil. For example, halves of 55-gallon drums with drainage holes cut in the bottom can be used. First, burn out any residues in the drum. Then bury in a sunny area, allowing about 1 to 2 inches of the rim above ground level. The tub can then be filled with an acidic soil (pH 4.8 to 5.2) that is high in organic matter. Approximately 10 to 15 percent sphagnum peat moss is good for this purpose. Plant one blueberry plant per tub.